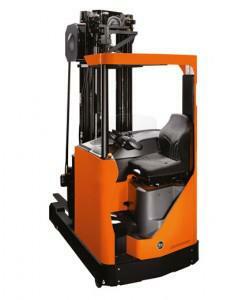 With a narrow chassis design and 360° steering, the reach trucks in the BT Reflex N-series offer increased flexibility. This makes them ideal for material handling operations, such as block stacking and drive-in racking, in confined areas. Adjustable seat and controls, excellent overall visibility and a low step-in height, all provide a high level of operator comfort and efficiency. 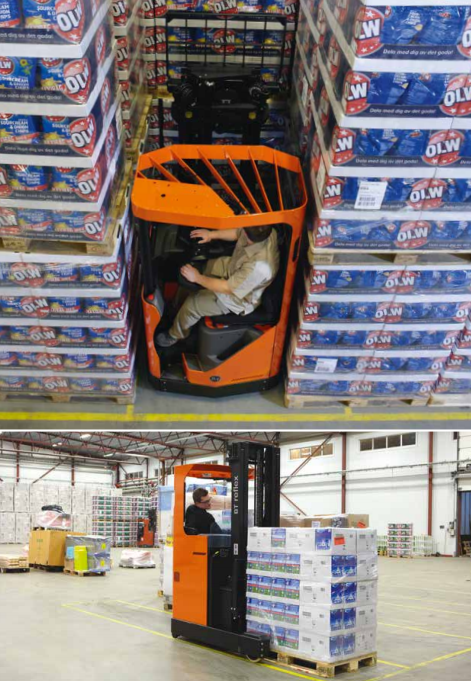 Easy to programme and fully configurable, the BT Reflex N-series of reach trucks are also suitable for cold store applications. With drive speeds up to 11 kilometres per hour, our N-series’ electronic fork control feature offers precision and ensures smooth operation. Suitable for medium-intensity operations, the BT Reflex N-series narrow chassis range includes three reach truck models with load capacities ranging from 1.2 to 1.6 tonnes and lift heights up to 8.5 metres. Equipped with AC drive technology for reduced maintenance requirements, and sideways battery exchange for multi-shift applications, our N-series forklifts offer low operating costs. These reach trucks offer PIN-code entry to ensure the truck is used by authorised personnel and to improve productivity by allowing operator-specific configurations.